For those who suffer with anemia, they often feel run down. They may do everything right, but their anemia keeps them from feeling as though they are at a hundred percent. For those who suffer with fibromyalgia, they often feel as though they cannot leave their home for the intense pain that they are in coupled with the intense fatigue. Do these conditions correlate with one another? Meaning could anemia be a side effect of fibromyalgia? Or could anemia be one of the reasons so many people are being diagnosed with fibromyalgia? Or, are these two symptoms that are independent of one another and they share nothing? These are questions that all patients who have these two illnesses are asking. In order to answer them, it is important to have a good understanding of what each condition is. Anemia is associated with the iron levels in your blood. It is not uncommon for a person to have issues with anemia at one point of their lives, and not others. What is interesting about this is that the symptoms are very like those that are associated with anemia. Fibromyalgia is a condition in which the central nervous system is not processing pain in the same way that a healthy person would. Other people state that this is an auto-immune disease. There is still much debate going on about how to classify this illness. However, fibromyalgia has no cure. These are the two most common. However, more and more symptoms are being traced back to this illness. For example, irritable bowel syndrome, having ringing in the ears, vision issues, and even dental issues. Thus, it is an illness that affects the person in more way than one. There have been several studies done on anemia and fibromyalgia. The goal was to find if one cause the other or if they affected each other in any way. There have been two notable studies that have been done on this issue that have given medical professionals the information they need to help treat this. The first study was performed in 2010. This study looked at the difference in iron levels of those who were considered healthy and those who have fibromyalgia. From this study, they found that those who had low iron were more likely to have fibromyalgia. Some of those who were in on the study had what was considered anemia, while others simply had low levels of iron that were not yet considered anemia. This study was looked at more closely in 2012 in which they looked at the same type of people, those with anemia and those with fibromyalgia. They found that there was no correlation between the two. However, they did find that those fibromyalgia patients with anemia often reported higher levels of pain and fatigue than those with this illness and having normal iron levels. What can be concluded from these studies? We cannot state for certain that one causes the other. However, many researchers are calmly stating that being anemic while suffering with fibromyalgia can make the fibromyalgia worse. An interesting side note is that during these studies those fibromyalgia patients who took iron, often reported having less pain. This could be due to their iron levels being low in the first place, but it is something that medical professionals are continuing to study. 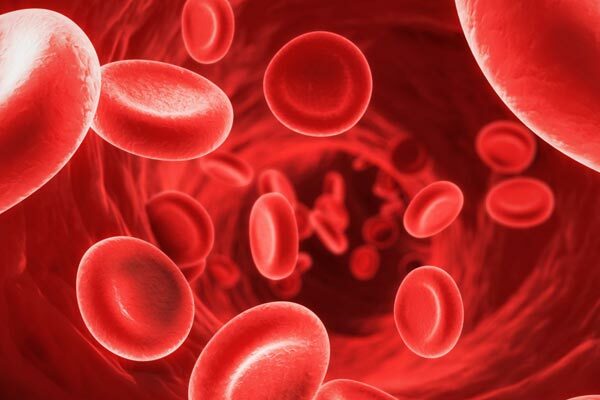 Since we can state that anemia can make your fibromyalgia worse, it is important that this is treated as one of the underlying issues that you have. Treatment for anemia should only be addressed by a doctor. No one needs to go out and start taking iron supplements without first knowing if they are needed or not. An overdose of iron in the body can cause major issues. Through putting more of these foods into your diet, you are going to find that you can get your iron levels to a more appropriate level and this could help you to feel better overall when suffering with fibromyalgia. Keep a positive outlook on life, as this can help your outlook on life greatly! Fibromyalgia and anemia are two separate issues. Yes, anemia can make your fibromyalgia worse. The good news is that if you go to the doctor, they can find anemia easily with a blood test. This can get you one step closer to feeling better.